The popular Iconic Cute bracelet by ChloBo is beautifully crafted with 925 Sterling Silver with a string of 3mm balls. 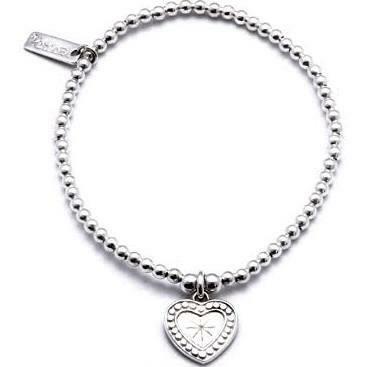 This romantic design features a cute love heart charm with a delicate pattern and star engraved. Stack this fabulous bracelet with other designs from the collection for a stylish bracelet stack to wear day and night.